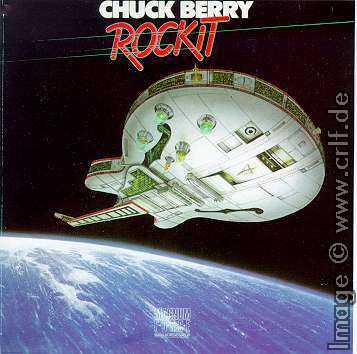 Since terminating his work with Chess/GRT Records, Chuck Berry only twice went back to a studio to record new songs: In 1979 he cut a whole new album for Atlantic/ATCO Records called Rockit, and in 1994 he accompanied Shabba Ranks performing one song on his A Mi Shabba album for Epic/Sony. 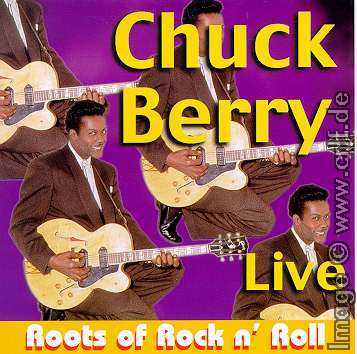 There have been additional Chuck Berry records since 1976, but all were recordings made during one of his many live shows. These live records differ a lot in quality and contents. Some have been official releases by large record companies, others come from more or less doubtful sources. Since everyone is able to burn their own CDs now, you also see more and more private recordings showing up as CDs. I did not include these private recordings here. 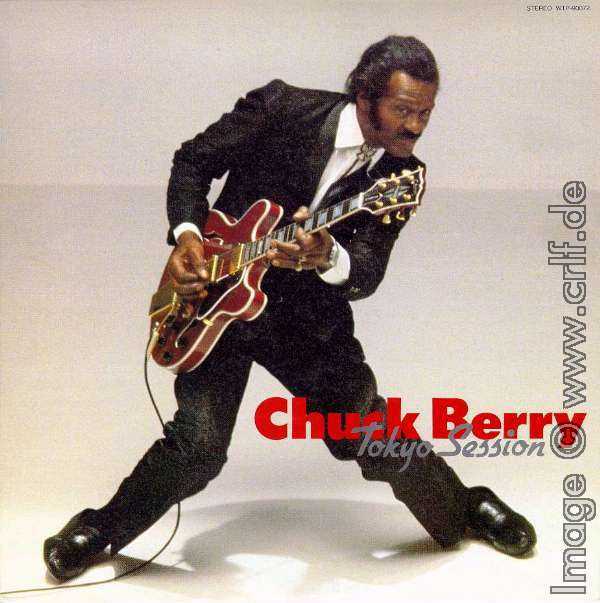 This chapter presents you with Chuck Berry's recordings between 1976 and 1986 which have been available on commercially manufactured records and CDs. 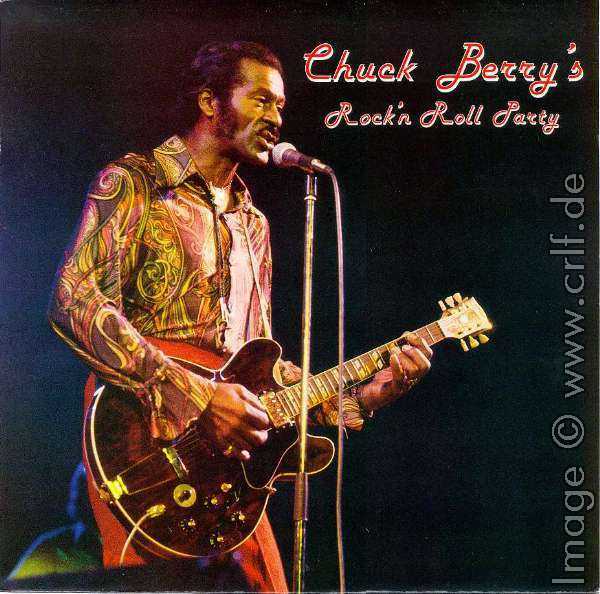 Chuck Berry's Rock 'n' Roll Party with The Flying Saucers (Driving Wheel C 7788 ) was recorded live in Hamburg/Germany in 1977. The record contains the following songs: Roll Over Beethoven, School Days, Sweet Little Sixteen, Let it Rock, Maybellene, Memphis, The Promised Land, Nadine, Too Much Monkey Business, No Money Down, Little Queenie, Around and Around, You Never Can Tell, Reelin' and Rockin' plus a song called the Hamburg Berry Blues. During the same European Tour another recording was made in Holland. 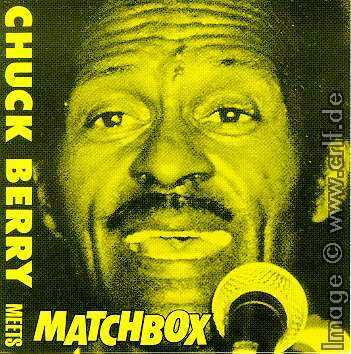 In this show Chuck was backed by Matchbox. 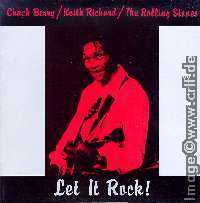 The CD Chuck Berry meets Matchbox (Promised Land Records HRT 93003 ) features the following songs: Liverpool Drive, Carol, Little Queenie, School Day, Sweet Little Sixteen, Memphis, Let it Rock, Everyday I Have the Blues, Wee Wee Hours, Bio, Promised Land, You Never Can Tell, My Ding-A-Ling, Johnny B. Goode, and Reelin' and Rockin'/House Lights. In 1978 Chuck had a guest appearance in the movies again. 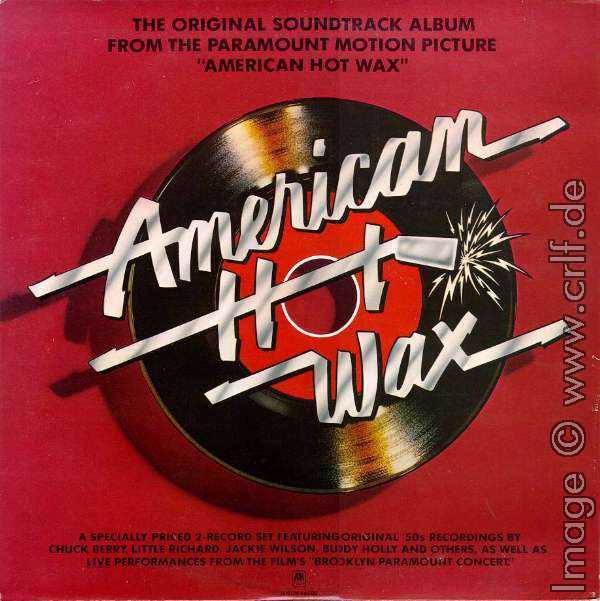 Part of American Hot Wax was a live show similar to the original 1950s performances at the Paramount Theater in Brooklyn. In the film Alan Freed (Tim McIntire) presents Chuck Berry on stage performing two songs: Reelin' and Rockin' and Roll Over Beethoven. 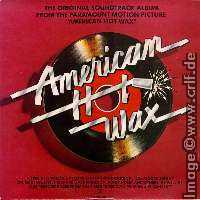 Both songs were recorded with a full Big Band accompaniment and can be found on the soundtrack album American Hot Wax (A&M Records AMLM 66500 ). The first official CD release of this recording was as part of Bear Family's 16-CD set Rock And Roll Music - Any Old Way You Choose It (Bear Family BCD 17273 PL , 2014). 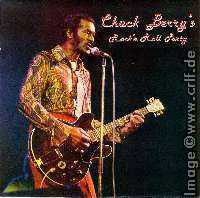 1979 saw a new recording contract for Chuck Berry. His work with ATCO Records resulted in a 45 rpm single California b/w Oh What a Thrill (ATCO 7203) and a new album called Rockit (ATCO SD 38-118). The album contains the two songs plus Move It , I Need You Baby , If I Were , House Lights , I Never Thought , and Wuden't Me . In addition there is a new recording of his classic Havana Moon and a spoken poem called Pass Away . Even though these new studio recordings once again showed Chuck's genius and also the album cover was next to perfect, the record suffered from Chuck's next imprisonment. Due to this there were no other ATCO recordings. Rockit has been re-released on CD by Magnum Force (CDMF 065 ), WEA and again as part of the Bear Family 16-CD box. On September 1st, 1980 Berry performed at the Bumbershoot Arts Festival in Seattle. The show was recorded and broadcast by KISW Radio. 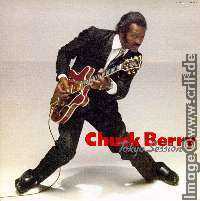 The high-quality recording shows a typical 1980s show consisting of Berry's greates hits plus some nice blues numbers. The backup band is quite good. Recordings from the radio broadcast were distributed on private audience tapes for years until most of this show became available on a CD called Hail! Hail! Chuck Berry! Live! (Rough 640509040147 , 2017). In January 1981 Norman J. Pattiz of Westwood One recorded two Chuck Berry shows in Reseda, California (details on this are in the blog). They distributed segments along with a George Thorogood show on a radio station album to broadcasters nation-wide. Beside this not-for-sale record, these three songs first appeared on the CD The Sheik of Chicago (Smashing Pumpkin Records PMK-1126, 2016). 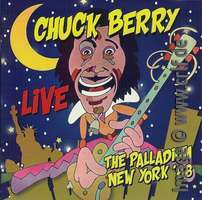 Another song from this show can be found as a bonus track on a 2017 CD named The Palladium New York '88 (ROXVOX RVCD2106, 2017). This very good live version of Bio is available only here. The next live show recorded for release took place in 1981 in Tokyo, Japan. 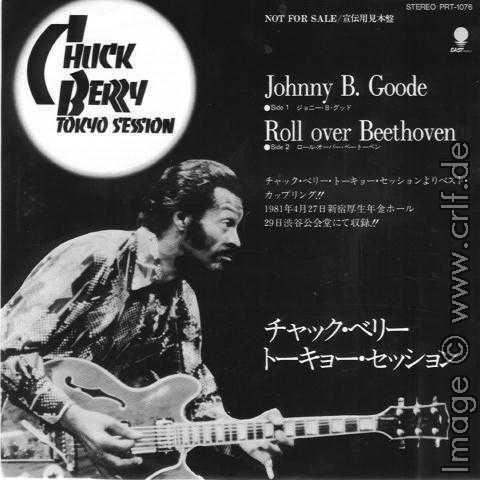 The album Chuck Berry Tokyo Session was released only in Japan (EMI / EASTWORLD WTP-90072 , left image). It contains live versions of the songs School Day, Roll Over Beethoven, Wee Wee Hours, My Ding-A-Ling, Memphis, Sweet Little Sixteen, Rock and Roll Music, Carol/Little Queenie, Bio, and Johnny B. Goode. 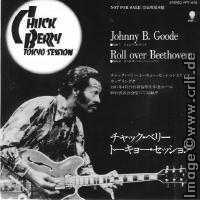 This last song as well as Roll Over Beethoven can also be heard on a 45rpm single (East World PRT-1076, right image) only issued as a promotional sample for the album. A year later another show in Japan was recorded. 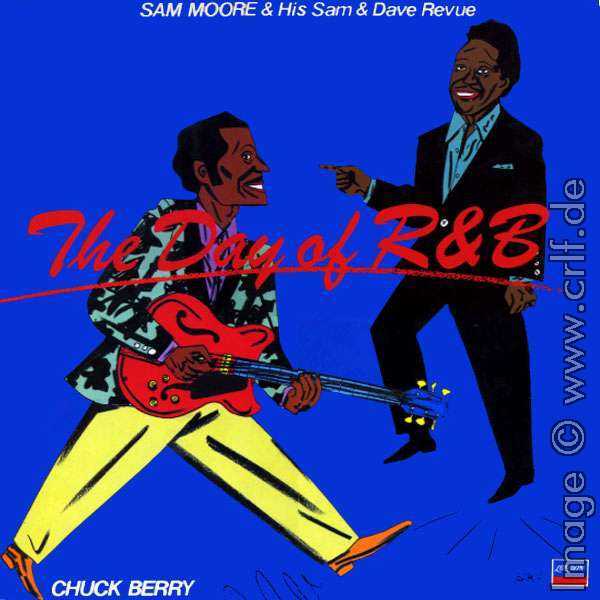 Only two of the songs were released on a sampler called The Day of R&B (first published as LONDON L28N-1005, Oct. 1982, later re-published as EASTWORLD WTP-72403, April 1985): Bio and Johnny B. Goode. 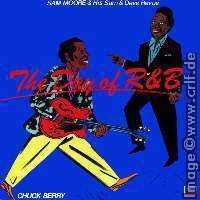 Other artists featured in the recorded performance were Sam Moore and his Sam&Dave Revue as well as the famous Japanese R&B band RC Succession. [Editor's note: There has been a very interesting Web site, in Japanese, containing a complete story about this album at http://www4.justnet.ne.jp/~youpin/day.html. Unfortunately the site is currently off-line and can only be read without images at waybackmachine.org. Please let me know where it went.] In 2005 this album was re-released on CD as Toshiba-EMI TOCT-11089 . Also in 1982 someone recorded a live show at the Ritz, New York. This show appeared on the 2-LP set Let It Rock! (Vinyl Gang). 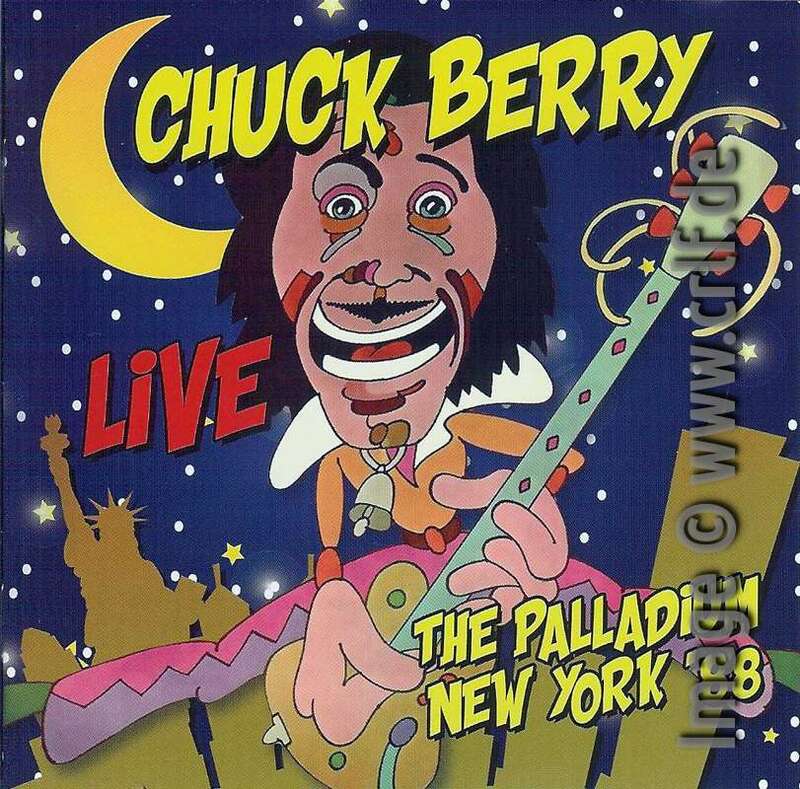 The interesting topic of this bootleg is the guest performer on guitar: the guitarist is announced by Chuck Berry as "Keith Richards of The Rolling Stones". Also the album cover states so. However, within the Stones collectors community it is for sure that the guitarist was not Keith Richards, but Ron Wood! It's said that Chuck just confused the two. Three sides of the album contain the complete show: Roll Over Beethoven, Sweet Little Sixteen, School Day, Liverpool Drive, Memphis, Let it Rock, Baby What You Want Me to Do, Mean Old World, Carol, Little Queenie, Johnny B. Goode, Everyday I Have the Blues, Reelin' and Rockin' and House Lights. The fourth side contains live recordings of The Rolling Stones performing Chuck Berry numbers. Johnny B. Goode and Everyday I Have the Blues are said to be also on a Keith Richards bootleg CD called Bloody Red Rooster, though I haven't seen one yet. 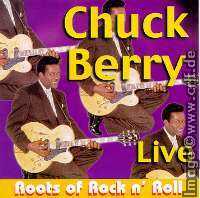 Finally in 1982 a Chuck Berry concert at the Roxy Theater in Los Angeles was taped for TV broadcast. 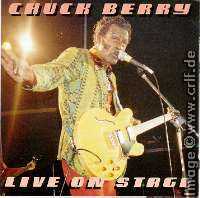 For many years this excellent show was available only on video tape (Chuck Berry: Live at the Roxy ). However in 1999/2000 collectors found that some songs from this show started to appear on budget CDs as well. None of these CDs (like Chuck Berry, Newsound PYCD 260 or Forever Classic, Mastertone 0301 ) however told about the origin of the songs. They were simply included along with live versions from the Toronto concert, or the BBC concert. In 2000 finally the whole show was released on a CD just called Live (Columbia River Entertainments VMK-1154 ). Interesting is Rock And Roll Music , which features Tina Turner on vocals. The remaining songs are Roll Over Beethoven , School Day , Sweet Little Sixteen , Nadine , Let it Rock , Promised Land , Memphis , Johnny B. Goode , Brown Eyed Handsome Man , Too Much Monkey Business, Carol / Little Queenie , Reelin' and Rockin' , and House Lights. Chuck Berry Live On Stage (Magnum Force CDMF 092, also by Columbia River Entertainment ) was recorded in 1983 in Peterborough, England. This high quality CD contains live versions of School Day, Sweet Little Sixteen, Roll Over Beethoven, Everyday I Have the Blues , Bio, Maybellene/Mountain Dew , Let it Rock, Carol/Little Queenie , Keys to the Highway, Got My Mojo Working, Reelin' and Rockin', and Johnny B. Goode . 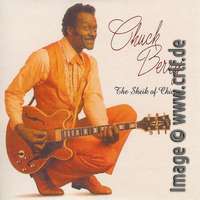 Two interviews conducted in 1980 and 1983 have been released in 2011 on a 3-CD set called Chuck Berry in the 1950s (Chrome Dreams CD3CD5073, 2011). One is an eight-minute segment from the John Davidson Show broadcast originally on 15 October 1980. The other interview labeled FM Radio 1983 was recorded by Steve Goddard backstage at the Sam's Town Hotel in Las Vegas on 15 October 1983. In addition to the 1950s recordings this CD-set also contains additional interviews recorded in the 1970s and 1980s. 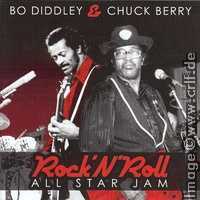 In 1985 a concert at the Irvine Meadows Amphitheatre, Los Angeles, celebrated the 30th anniversary of Rock'n'Roll - well, at least the 30th anniversary of Bo Diddley's and Chuck Berry's first hits. Recorded for TV broadcast, the concert was shown on HBO in late 1985. In 1989 parts of the concert were published on video tape, less the Berry tracks, though. Since 1999 the show is available on DVD and since 2008 on an audio CD called Rock ´N´ Roll All Star Jam (Pepper Cake 2042-2, November 2008) . 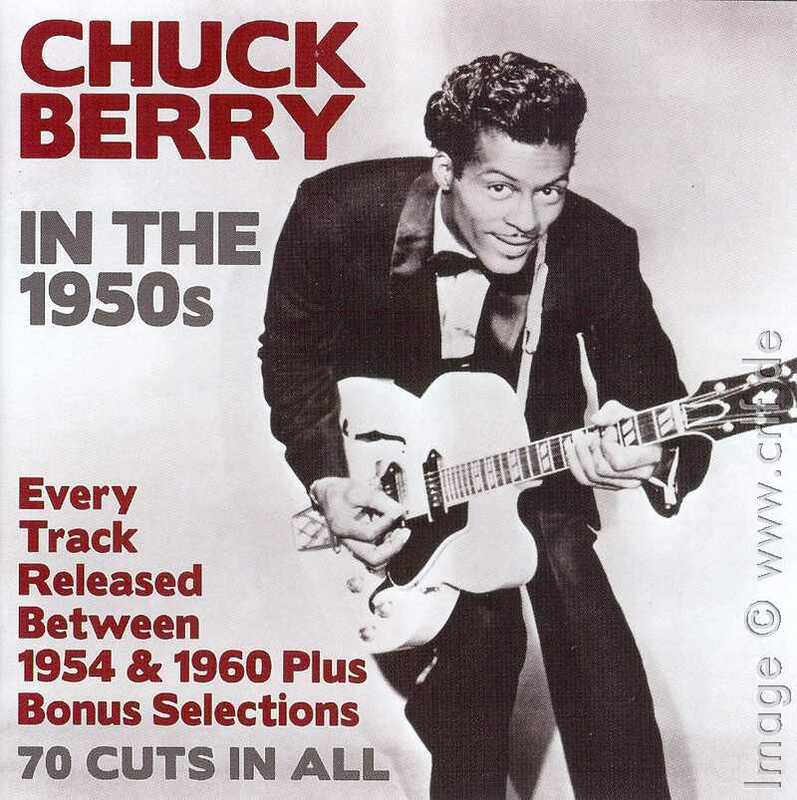 Berry "performs" My Ding-A-Ling, Bio (incorrectly titled Destination), and Rock And Roll Music, though on the last song Berry does not sing his own lyrics and refuses to touch his guitar. 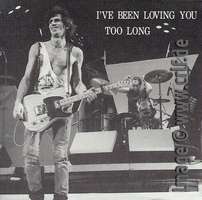 Yet another concert recording, though in lousy sound quality, made it to a Keith Richards bootleg CD. 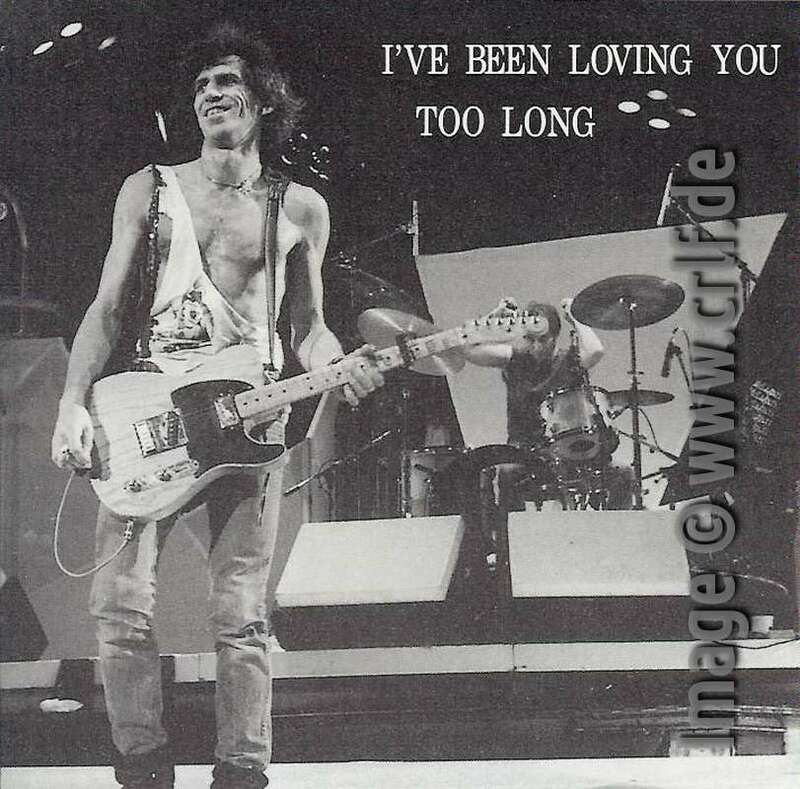 Opening the Chicago Annual Blues Festival on June 6th, 1986, Berry was backed not only by some Chicago Blues All-Stars but also by Rolling Stones' Keith Richards. 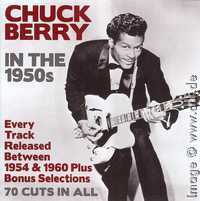 Of the complete show only two songs (Johnny B. Goode and It Hurts Me Too) were included in this CD. Note that while the CD cover tells "I've Been Loving You Too Long" the correct title of this CD is "Bloody Red Rooster" (Bad Girl Songs CDJ3, 1992). In the mid 1980s, MCA Records bought the Chess archives and re-released many old records as well as some previously unreleased ones (see The Chess Era). 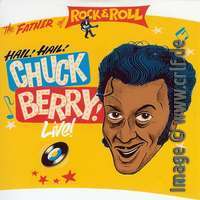 They did not manage to get Chuck back into a recording studio, but at least in 1986 they celebrated Chuck Berry's 60th birthday by filming and recording a live show held in St. Louis, Missouri. This show is the topic of the next chapter.